Jessie has always called Massachusetts her home. She has the icy fire in her veins and just like a true New Englander, both dreading and loving the unpredictable snowfall in April. Relishing in the too short fall season, she watches the leaves change in her small town of Sharon every year, thinking up new ways to modify her butternut squash soup recipe, or wondering about the molecular reactions occurring in the chloroplasts of each beautiful leaf. The limitless journey to acquire information speaks to Jessie’s inquisitive nature. Jessie’s true inspiration is the desire to achieve. She never ceases to ask questions-“why” is the word most often used in Jessie’s vocabulary. Everyday Jessie and her passions evolve; and everyday she finds a new way to overlap certain skills, areas of expertise, or professional disciplines. Though her grand plan includes becoming an epigeneticist, she questions everything and plans projects including the blending of food science and music theory. To Jessie, everything is, can, or should be interconnected. Building connections in the world is much like the connections built in the human brain-each one strengthening the mind and solidifying the idea. Through her education, right now Jessie builds the base of a product development specialization. However, she hopes to pursue a career in applied research with a specialization in neuroscience. Victor grew up in a suburban area in Basking Ridge, New Jersey; where there was only one train ride to New York City. Though he has called the East Coast home all his life, he has found friends from all over the would through internships and education. Victor has always had a sense of curiosity. He reads books about architecture, design, sociology and, of course, cooking. Books have led to epiphanies about food, and knowledge about the world. Victor enjoys learning from his peers and finds he can listen to anyone talk about anything for hours. He finds listening to someone’s passion about building a forge, or creating a new picture collage on a wall fuels his own passion to perpetually learn and create. Inspiration to Victor means finding passion in anything, and creating something based on that feeling. 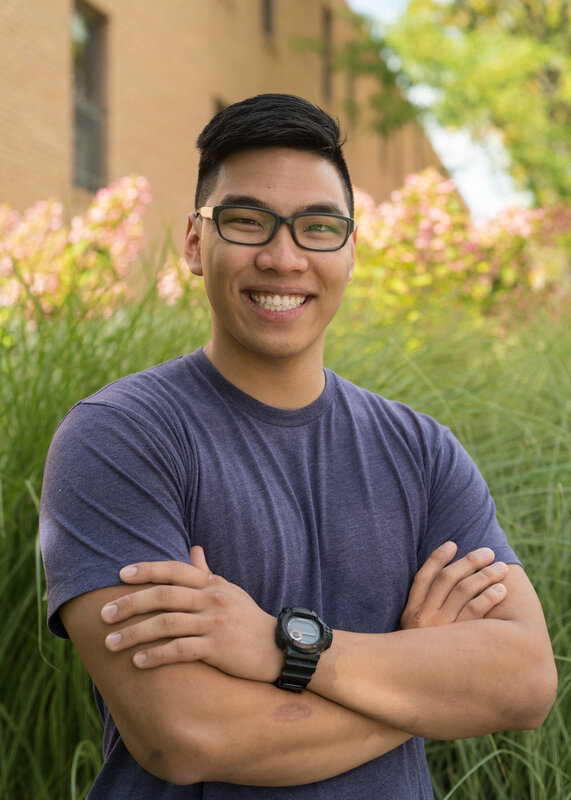 Throughout his internships, Victor learned not only how to cook under pressure, but also how to maintain organization and communication in any work environment. He has a wide range of experience in recipe development, large production cooking, and casual fine dining. All of his internships have given him a range of skills, from developing recipes for people with dietary restrictions to managerial prowess. Ray grew up in Wilmington, Delaware. Your first question should be Delawhere? Not many people trek to this state, unless they’re passing through. Nonetheless Ray loves his little state. Ray feels drawn to the environmental diversity that Delaware offers, ranging from urban to rural and even including many beautiful beaches. He spent his childhood not only as a Boy Scout turned Eagle Scout, but he also spent a large portion of his time in the kitchen. From a young age, he stood alongside his mother preparing dinner for his family-and he loved every second of it! Ray’s inspiration stems from his experiences brewing beer as a hobby and his problem-solving nature. With each brew, he witnesses the shocking amount of reusable-yet extremely underutilized-product that remains after each batch. It became obvious that the large amount of remaining product was a problem that needed to be solved. This challenge inspired Ray's interest in the sustainability movement. With every batch of beer brewed or new question posed, he pushes himself to better the community around him through sustainable practices. While he stands somehwere in the middle of his career path, he is truly standing at a boundless epicenter of potential for growth, both personal and professional. Through his education and hobbies, he acquired the fundamentals of a brewing specization. With a focus in food science and product development and an appetite for knowledge, he plans to tackle overy obstacle with an open mind and use future experiences to find specializations that inspire him. Samantha grew up in the small town of Londonderry, New Hampshire. Surrounded by lush apple orchards and farmland, local food has been a vital part of her everyday life. Coupled with her mother's passion for food, Samantha knew that the culinary scene was a place she would always be a part of. Constantly looking to learn and grow, she realized that she could meld her hobbies of math, science, and art beautifully in Nutrition and Food Science. Her passion for food and analyzing the way it interacts molecularly has driven her to be constantly experimenting, learning, and creating. She aspires to create foods for the public that are wholesome, responsibly sourced, and delicious. She hopes to make a positive impact with the products she produces, keeping sustainability as top priority. 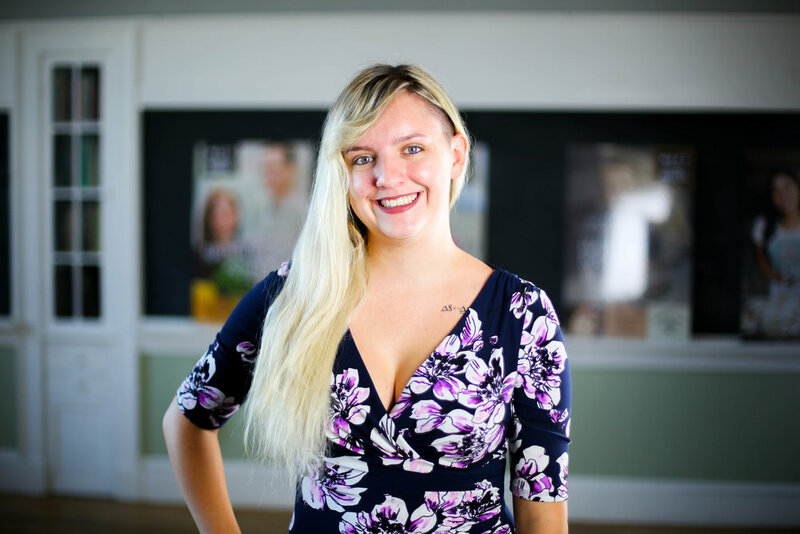 Samantha has worked at a variety of restaurants and dining facilities in both front and back of the house, continually seeking new perspective and knowledge in the industry. Stemming from her rural hometown and outdoorsy childhood, farm-to-table and local eatery is something near and dear to her heart. Samantha witnessed first hand the weight of the food waste issue through numerous industry jobs. This experience sparked a desire to mitigate the monumental waste problem present within the food service industry. She continues to work toward innovative ways to transform and repurpose food and food byproducts. Sam was born in Denver, Colorado but not long after relocated to Galloway, New Jersey. Sam’s fascination with bold flavors, especially those of different cuisines, developed at a young age. This sense of wonder in tandem with childhood family dinners every night sparked his desire to cook and set him on his journey into the food world. Frequent visits to the bustling Atlantic City and food hub Philadephia set a foundation for a deep appreciation of culinary excellence, drawing him to a career in Culinary Arts, Nutrition, and Food Science. Culinary curosity is truly Sam’s main inspiration. His passion for complementary flavors drives him to study often beautifully simple pairings and profiles. He truly believes that simplicity is the underestimated key to a delicious meal. Sam loves to hone his culinary skills while keeping up with current food trends. As a result, he is often found volunteering at local food events and festivals, working side by side with his chef amd foodie peers. Regardless of whether Sam is in the kitchen, at a local festival, or studying new flavor combinations, his headphones are his loyal sous chef, as he believes art inspires art. Sam’s journey into the exciting world of food ignited secret passions along the way. Thus far, Sam has acted as ‘Firemaster’ for The Gilded Tomato Company, where he has learned and excelled at woodfired cooking & ambient-heat baking. Not only has he developed new culinary skillsets, but he has also planned and maintained an organic farm-to-table garden, and joined the Johnson & Wales Competitive Brew team. Sam is a ‘Firemaster,’ gardener, and brewer turned food scientist. 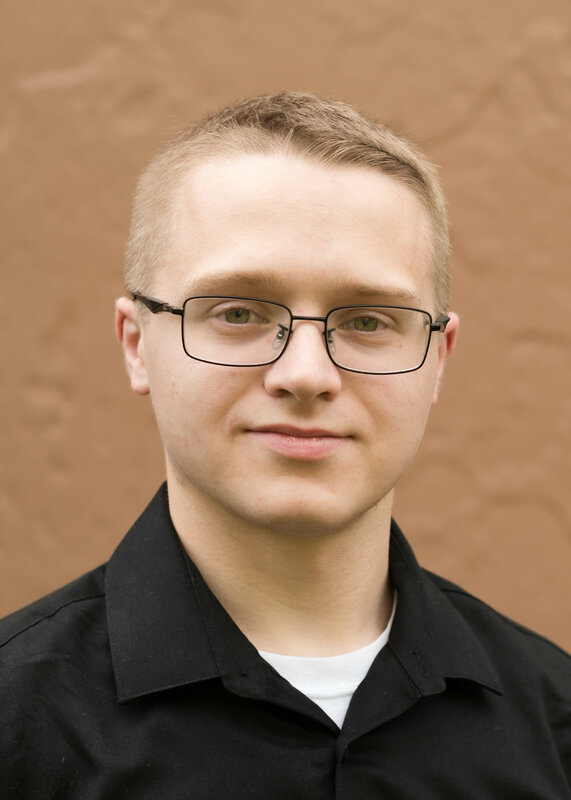 As he continues to explore this field, he hopes to develop his current specializations while continuing to search for new and exciting ones as well. Natasha Grew up in Cleveland, Ohio, learning from world-renowned chefs at her old stomping ground, The Chef’s Garden. From a young age, she has always taken an interest in sustainability and has maintained that mindset throughout her journey. Natasha is inspired by the guest experience and creativity. She oftens attends and participates in food festivals, and fulfilling client needs allows Natasha to broaden her culinary reach while learning as much as she can. Natasha has worked in sustainable kitchens with chefs from a wide variety of backgrounds. She is well versed in modernist and fine dining cuisines. She loves learning about food processing and ways to make good food products great. Born and raised in Milford, CT, Nicole realized her fascination with food shortly after entering her first culinary class at Platt Vocational Technical High School in 2010. Throughout those four years, she accumulated culinary skills and learned about all aspects of the restaurant industry. Ultimately this experience guided her to Johnson & Wales University, where she would learn everything she needed to know about Culinary Arts and how to construct her own business along the way. Since the age of 12, Nicole has volunteered for multitudes of events affiliated with the Elks National Foundation and Johnson & Wales University (Cooking Asia Club). Having the opportunity to work with local chefs & restaurant owners in CT and RI has inspired her to better herself, and maintain motivation for opening her own restaurant. She is also inspired by her ever-supportive family, who take extensive interest in all of her achievements and have helped her along her journey thus far. Although Nicole loves to cook, she envisions owning a farm-to-table restaurant that focuses on sustainability and more appropriately portioned meals. These meals will have a heavy emphasis on vegetables and fruit, as opposed to meat-centric dishes. However, presently she’s grasping hold of the unique opportunity to assist OURgrain in its journey from a fledgling startup to a wild success in the culinary world. Additionally, she enjoys consulting with others who either want to establish their own business, or meet with past employers who want her input for their menus.